I opened a Private and Confidential (on Her Majesty’s Service) letter on a Saturday in May with trembling hands. In typical nurse fashion I somehow assumed I had committed some enormous transgression. 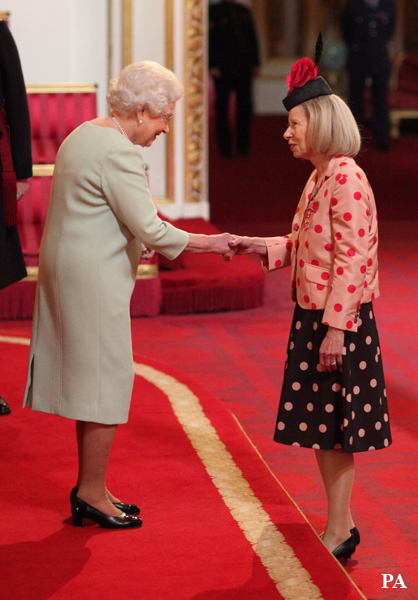 It never occurred to me that this would be the most tremendous honour of an OBE bestowed for services to the profession I have been privileged to be a part of for my entire career. I burst into tears – alone in the house – overwhelmed with pride, humbled to have been chosen and sad that I could not share this with my mother who died some years ago and would have been so proud and relieved that it was not a monumental transgression! The morning was spent in quiet reflection of what this really meant as I was banned from telling anyone for the next six weeks until the list was published in June. I thought about how I had arrived here after a lifelong career in nursing and midwifery. I realised that this was really all about the patients I had nursed, the women whose babies I had delivered sometimes in challenging circumstances, the marvellous organisations I had worked in and the people there. We are all touched by experience which shapes our characters and drives our quest for skills and knowledge. My chosen career, which only unfolded at the age of 18, became a vocation that has last for 40 plus years. This honour therefore is about and dedicated to the first child I nursed in my training who died from 60% burns, the woman who died of lung cancer who was so frightened and allowed me to sit and hold her hand in death, the first baby I delivered, my mother who put her trust in me to nurse her at home during the terminal stages of her illness and the student midwives who put their faith in me to help them start on their careers. It is also about the hundreds and thousands of patients, relatives and carers I have met along the way. It is a privilege to have been given the opportunity of developing other professionals and in doing this I have been overwhelmed with the generosity of others in giving their time, resources and expertise to enable this. This would not be complete without reference to my wonderful family who have been my cheerleaders and to the exceptional healthcare professionals and managers I have met during my journey. They know who they are, too long a list to mention. The nurses who have inspired me to go the extra mile, the leaders who pushed me out of my comfort zone and challenged me and the mentors who have guided me. It belongs to the educators, chairmen, chief executives and some of the best medics, AHPs, nurses and midwives it has been my privilege to work with. So, this honour is a huge thank you to all and the inspiration and energy you have given me, for which I am forever grateful.